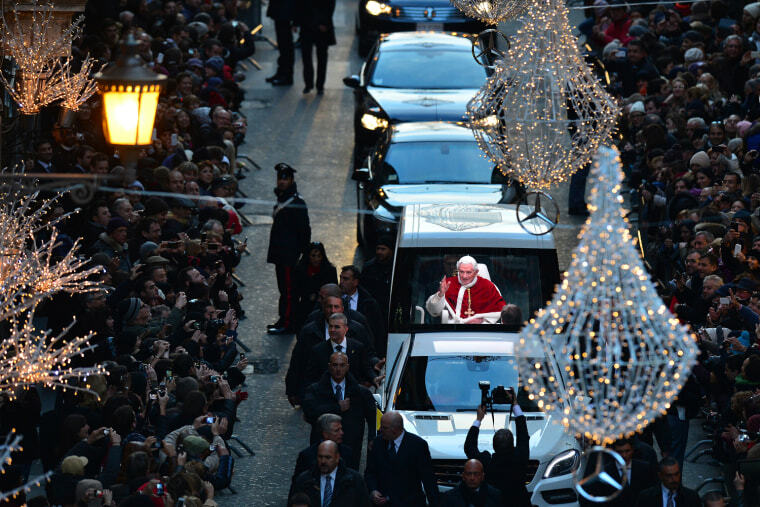 Images of the automobiles that have transported popes over the years. 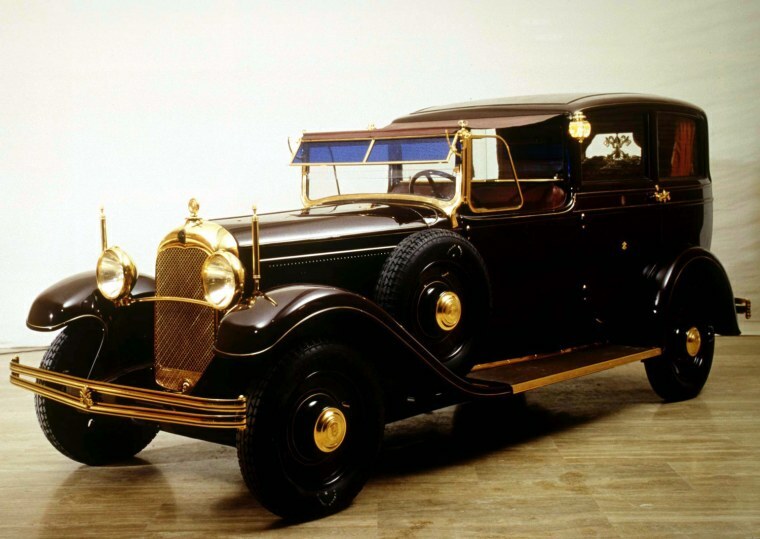 Pope Pius XI personally received his Mercedes-Benz Nürburg 460 in 1930. 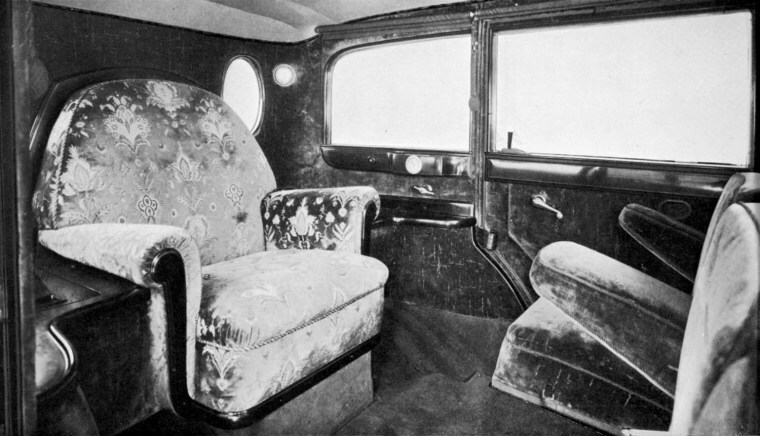 Mobile throne: The interior of Pope Pius XI's ride had been fitted out with, among other things, parament embroidery. 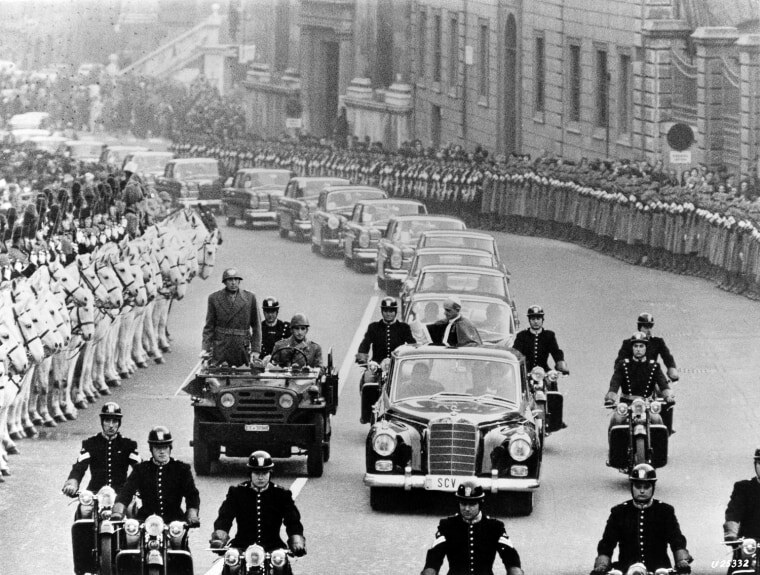 The 1930 Citroen Lictoria limousine used by Pope Pius XI was put on display in October 1996 at the Vatican after it had been completely restored. 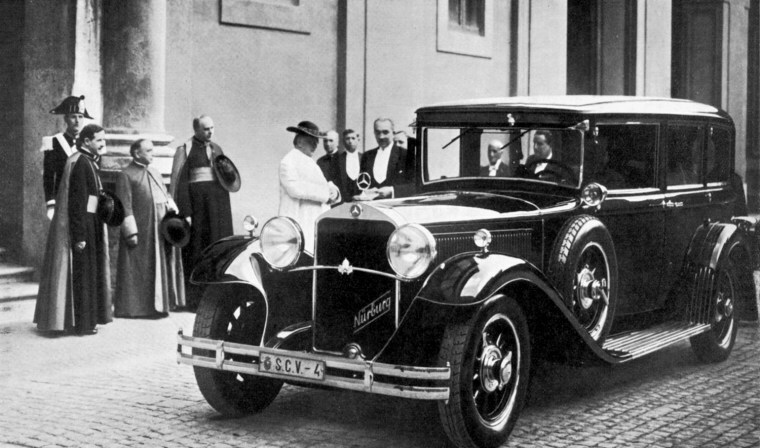 Pope Pius XI received the car as a gift from its French makers only a year after he stopped being a "Prisoner of the Vatican" - confined to the tiny city-state because of a territorial conflict with Italy that lasted from 1870 to 1929. The car is housed in the Vatican museum alongside the ornate horse-drawn carriages that transported Pontiffs before the automobile age. 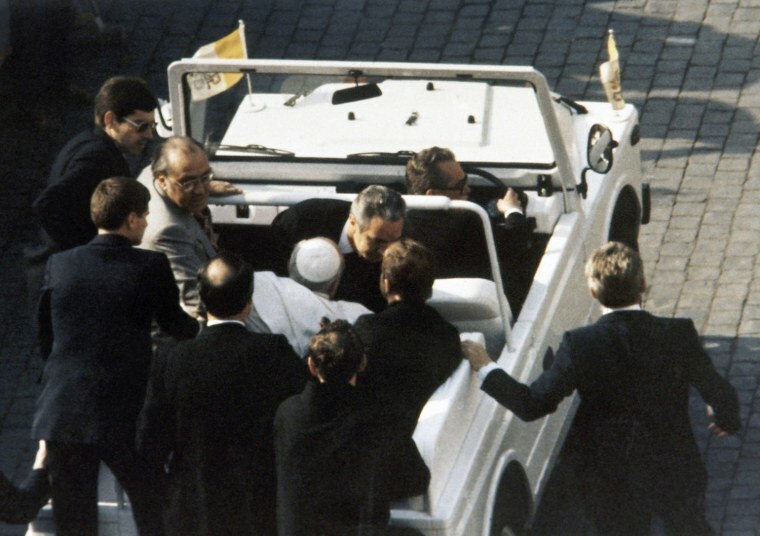 Pope John XXIII stands up on a drive through the streets in his Mercedes-Benz 300D Landaulet, W189 series, with the top folded down, circa 1960. 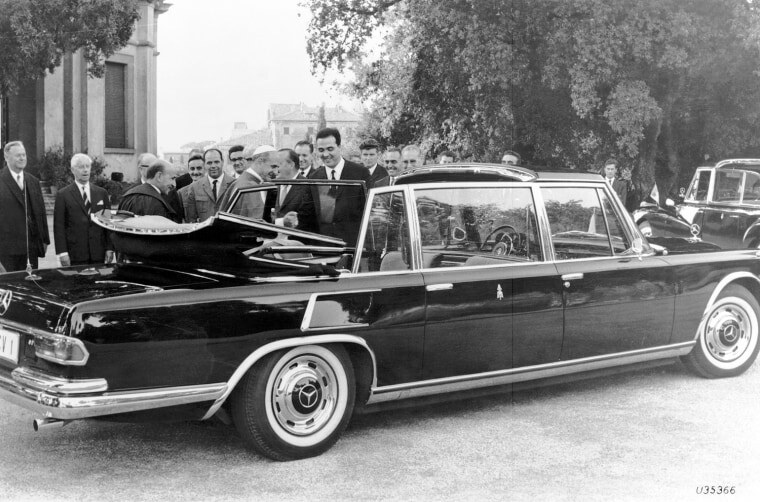 Pope Paul VI with his Mercedes-Benz 600, circa 1965. 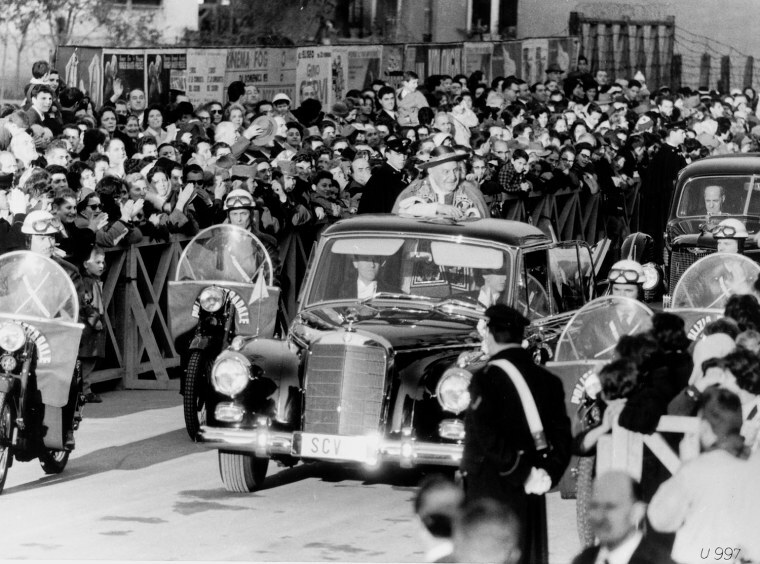 Pope Paul VI in the Mercedes-Benz 300D upon his return from a pilgrimage that had taken him to the Holy Land and Jordan. 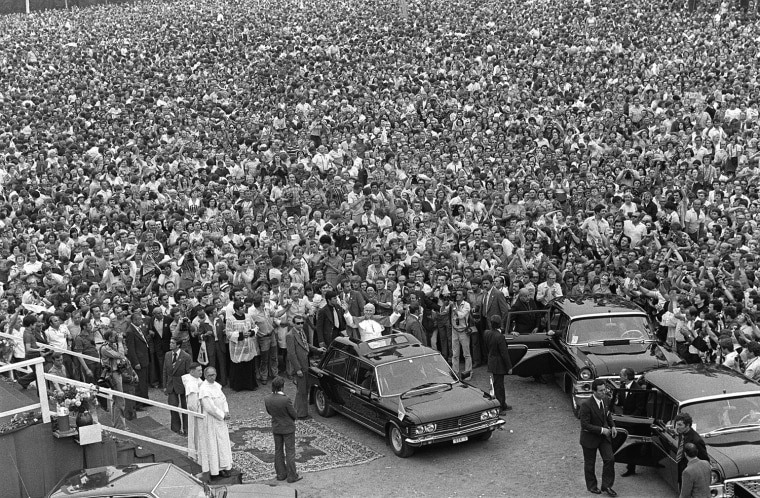 Pope John Paul II stands in his car as hundreds of thousands of people bid him farewell beneath the Jasna Gora monastery in Czestochowa, Poland, on June 6, 1979. 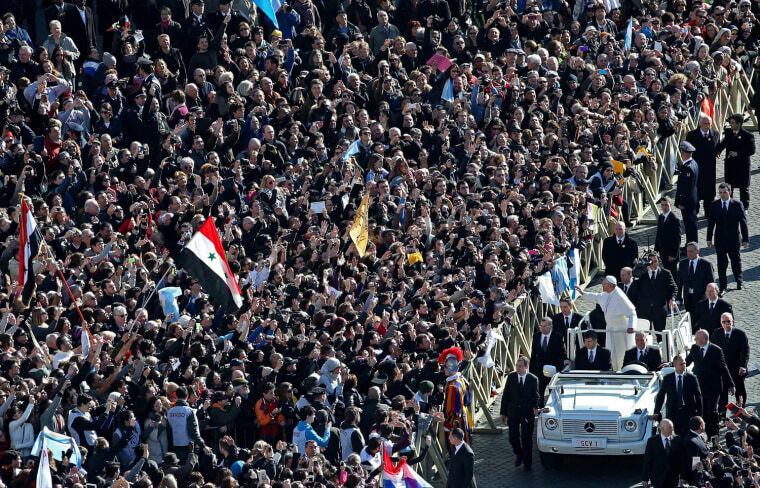 The Pope was greeted by wildly enthusiastic crowds on his first visit to his homeland as leader of the Catholic faith. 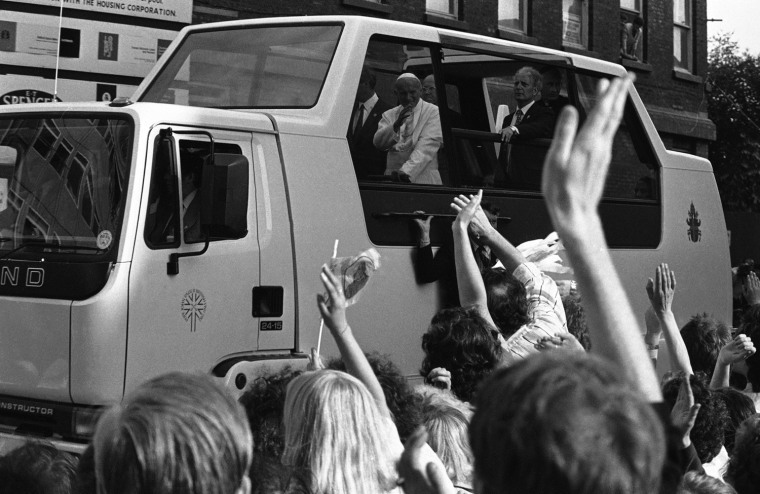 Pope John Paul II arrives at the Liverpool Anglican Church in England in his popemobile on May 30, 1982. 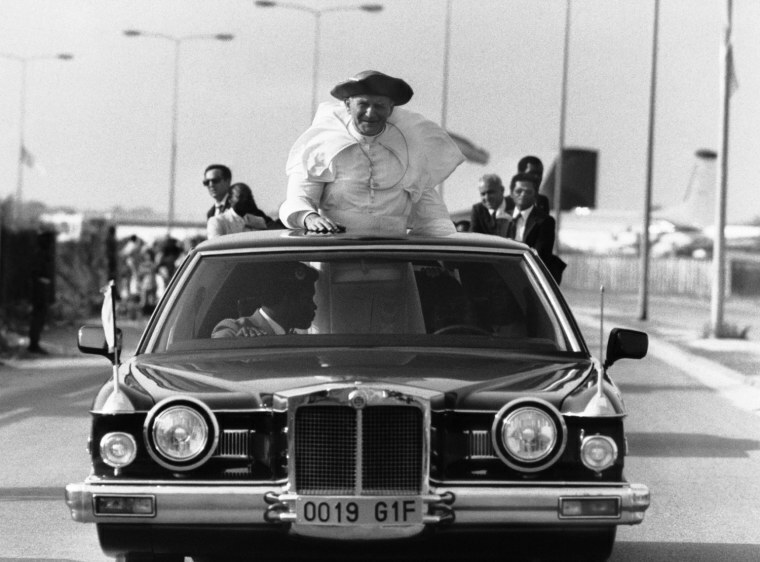 Pope John Paul II stands up in his car during an official trip to the African Republic of Gabon in 1982. 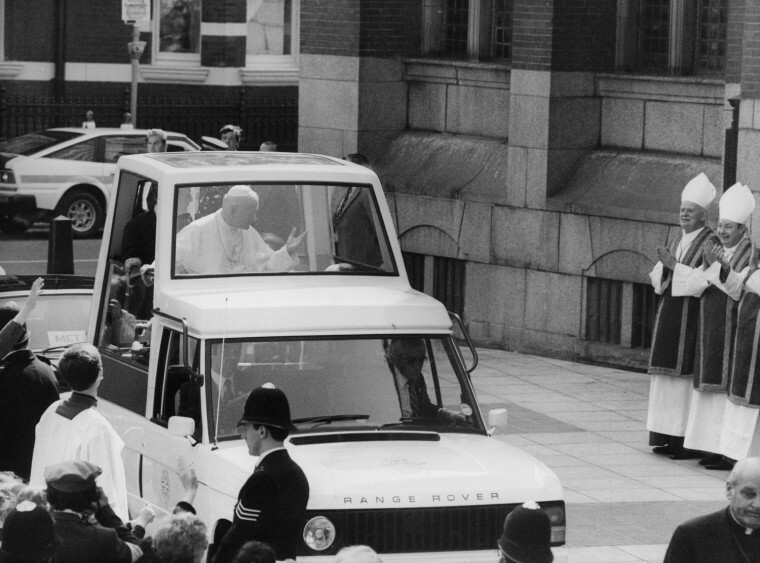 Pope John Paul II arrives at Westminster Cathedral in his modified Range Rover popemobile, on the first day of his visit to the United Kingdom, on May 28, 1982. 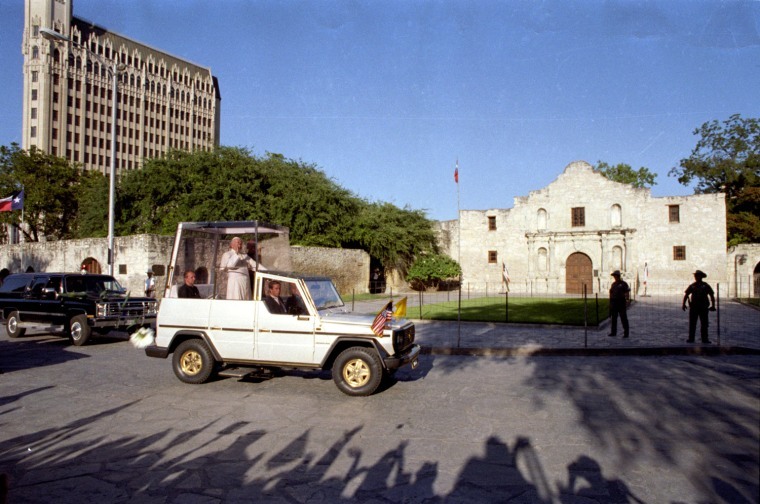 The popemobile passes by the Alamo during the pontiff's 1987 visit to San Antonio, Texas. The most traveled pope in history, John Paul II visited more than 100 countries. 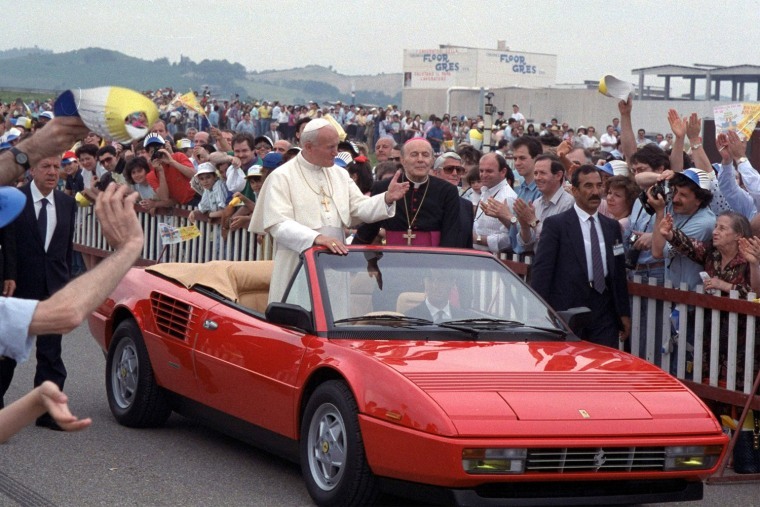 Pope John Paul II exchanged his popemobile for a brand new Ferrari Mondial Cabriolet for a day when he visited a Ferrari manufacturer in Fiorano, Italy, on June 4, 1988. On Oct. 13, 2004, Ferrari President Luca Cordero di Montezemolo said he would present the pope with a new Ferrari 1:5 scale model on the occasion of the 26th anniversary of his pontificate. 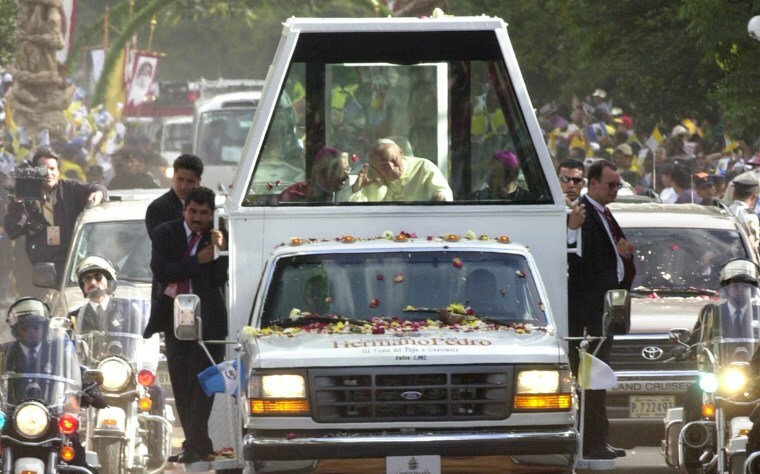 The popemobile used by Pope John Paul II in his visit to El Salvado drives along the streets in San Salvador on April 30, 2010. The Pope John Paul II visited El Salvador on 1993 and 1996. Pope John Paul II is held up by his secretary, Stanislaw Dziwisz after being shot at by Turkish student Ali Acga and seriously wounded in Vatican City on May 13, 1981. The assassination attempt took place during the regular general audience in St. Peter's Square on Wednesday. 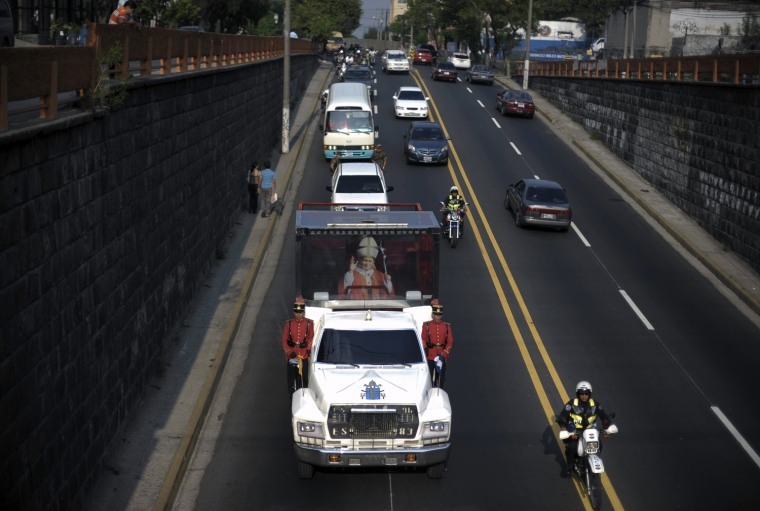 Pope John Paul II rides in the popemobile through the streets of Guatemala City, on July 29, 2002. 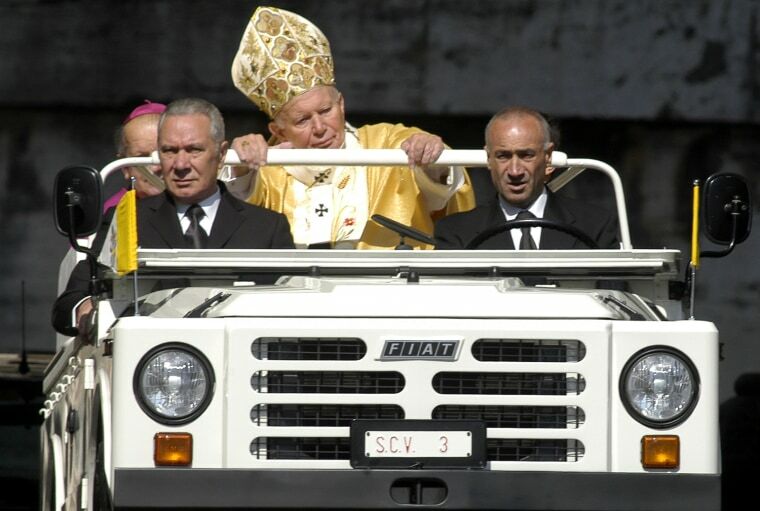 Pope John Paul II arrives in St. Peter's Square in his popemoblie for a special Mass on May 18, 2003 in Vatican City. 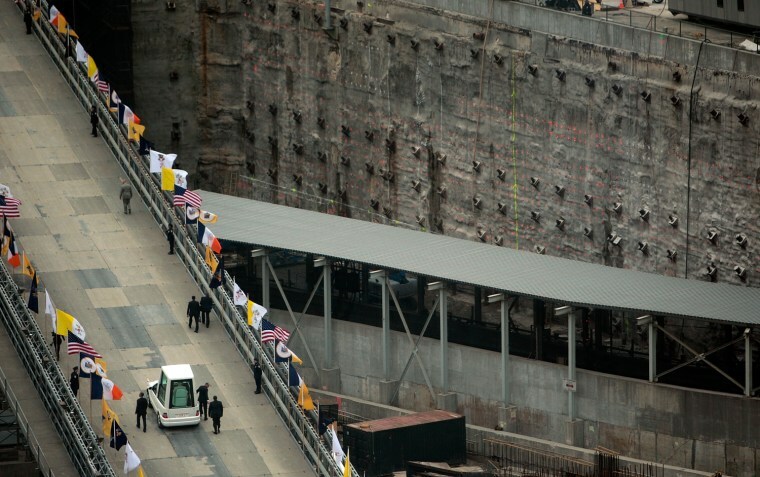 The popemobile ascends a ramp from Ground Zero as Pope Benedict XVI leaves a brief ceremony at the site of the north tower of the World Trade Center on April 20, 2008 in New York City. The pontiff will celebrate Mass in Yankee Stadium before departing New York. 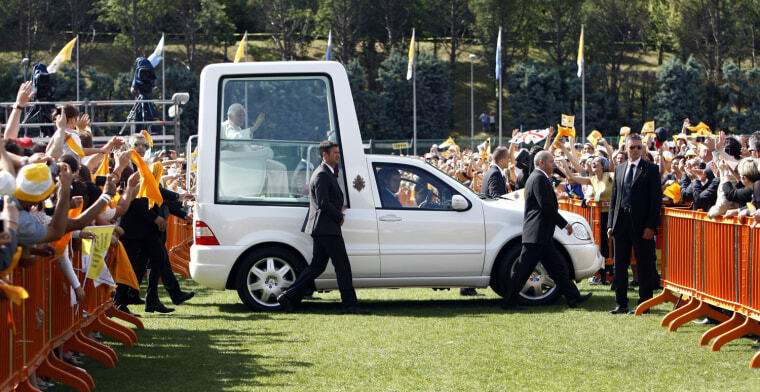 Pope Benedict XVI arrives in his popemobile to celebrate Mass in Seravalle's stadium, San Marino, on June 19, 2011. 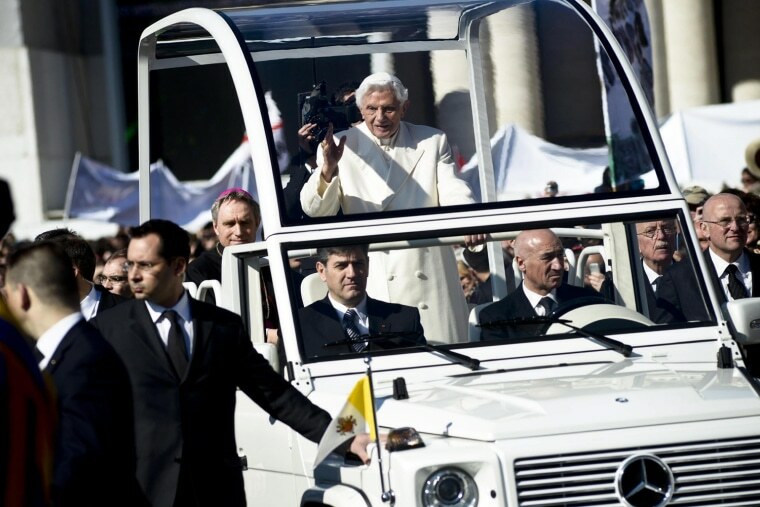 From the Popemobile, Pope Benedict XVI waves to flag-waving pilgrims and well-wishers as he enters St. Peter's Square, Vatican city on Feb. 27, 2013 to preside over his last weekly Wednesday General Audience. 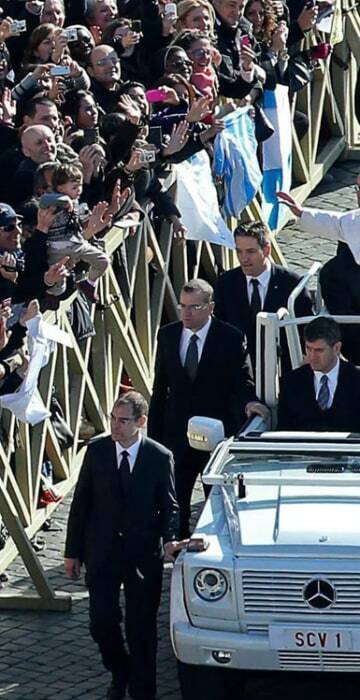 Pope Francis waves to the crowd from the popemobile during his inauguration Mass in St. Peter's Square, Vatican City, on March 19, 2013. 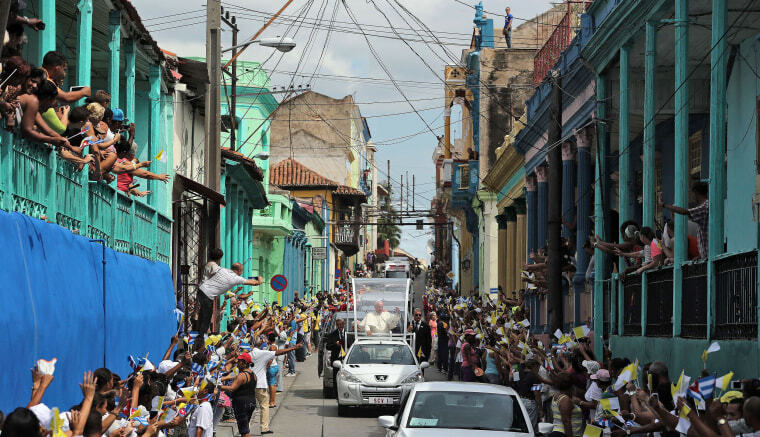 Pope Francis rides through Santiago de Cuba on his way to the airport on Sept. 22, 2015.